David Protess’s innocence group was made up of his students and private investigator, Paul Ciolino. 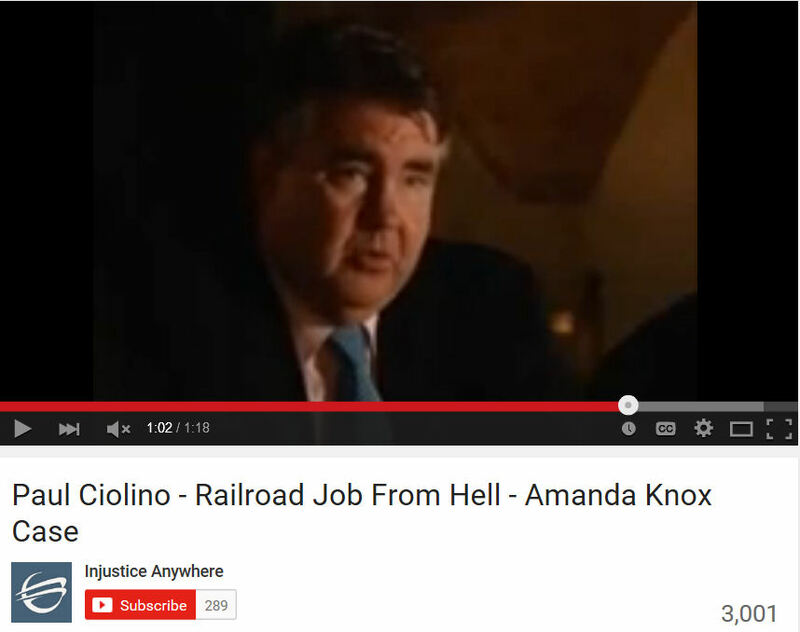 Years later, innocence groups along with Paul Ciolino, would be influential in convincing Americans that Amanda Knox was innocent. Their success at winning Anthony Porter’s release was a media sensation and they were hailed as heroes. Professor Protess was called a superstar. Shockingly, as this documentary clearly shows, it was all a lie. Anthony Porter was truly guilty of murder. In the documentary Professor Protess used arguments identical to the ones used in the media to help acquit Amanda Knox and Raffaele Sollecito for the murder of Meredith Kercher. Prof. Protess was later fired from the university as a result of this scandal and other unethical activities. 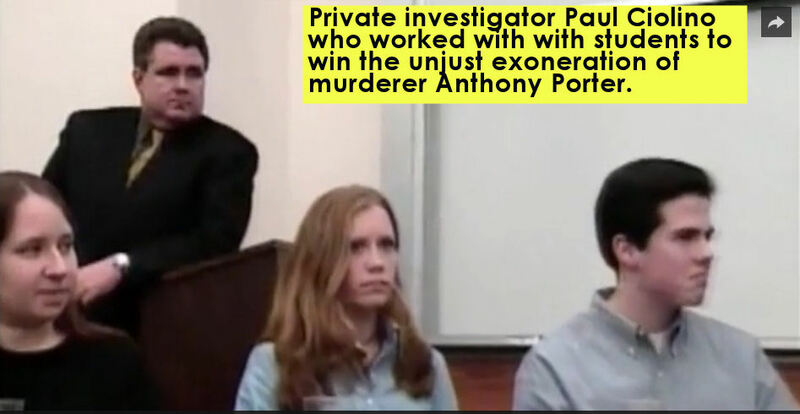 Surprisingly, the same private investigator as shown in A Murder in the Park who was pivotal in the unjust exoneration of Porter, also became involved with the media campaign supporting Amanda Knox. The Murder in the Park documentary described how Paul Ciolino coerced a witness to change his testimony 15 years after the crime and then convinced an innocent man, Alstory Simon to take the blame with promises of a short sentence and money from a movie deal when he got out. These actions were pivotal factors leading to the release of murderer Anthony Porter. A few years later, Paul Ciolino worked with Innocence projects and gave his ‘expert’ opinion about the murder of Meredith Kercher in the prime time 48 Hours show. He used the same exact arguments that Professor Protess used in the press about Porter’s case. Up to his old tricks, Ciolino attempted to challenge a witness’s testimony in the Amanda Knox case. Ciolino was so successful at pressing the star witness in Porter’s case to recant his statements that he even brought the news cameras along (see video below.) Without any official authority and seemingly unannounced, Ciolino descended on witness Nara Capezzali at home, late at night, and peppered her with questions about what she heard the night Meredith Kercher screamed. He went on to conduct his own reenactment, from a different apartment, listening for the sounds of footsteps. Unsurprisingly, he determined that the witness must have been wrong. 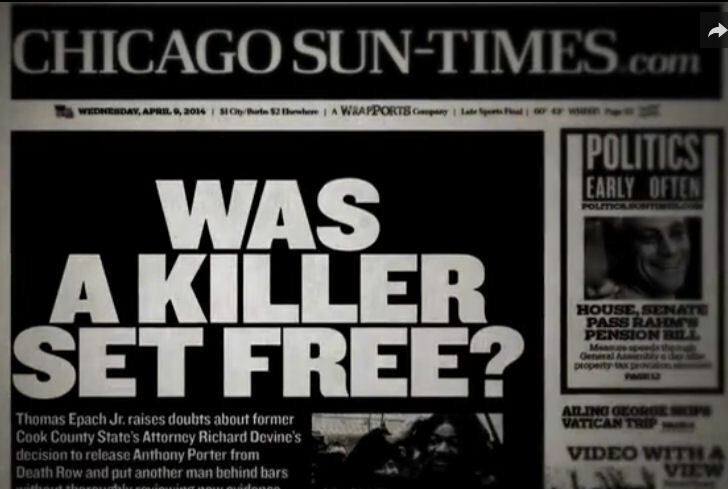 In the documentary, Anthony Porter claimed that the police “tortured” him. 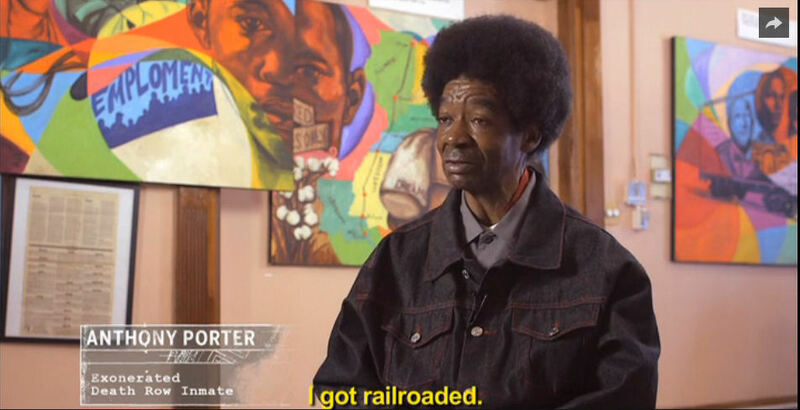 This was the first time in 17 years that Porter ever mentioned being abused by the police. Porter filed a lawsuit against the city for 24 million dollars. The innocent police officers fought back against the allegation and won. Similarly, Knox also accused the police of coercing her and hitting her on the back of the head long after she was arrested. Her lawyers never filed any complaints about this but she testified in court that police abused her. The Italian police took the initiative and sued her for slander for her testimony and the trial is going on now. Last month the Italian Supreme Court finalized Knox’s other conviction for criminal slander for accusing her former boss Patrick Lumumba, of the murder. To make matters worse, these are not isolated cases. According to research done by John M. Collins and Jay Jarvis on their website crimelabreport.com, there are other unjust exoneration cases perpetrated by post-conviction litigators in Innocence clinics. In a recent interview, John Collins discussed other cases of wrongful exonerations and how he believes this is a public safety issue that costs taxpayers millions of dollars in reparations.